I don't usually go thrift shopping on Thursdays. Today was a little rainy and overcast. It felt like a good day to go searching for some treasure. Here are a few things I picked up today. I love thrift stores!!!! I am going Friday!!! I am looking for seashells and milk glass! O I LOVE the adorable salad servers! Oh wow, I love those salad servers. Nice find! Isn't thrift shopping addictive? I can't seem to get enough of it, so much fun! I love the little clothes hangers - my sisters and I had them when we were little! Very nice salad servers too, such pretty colours. 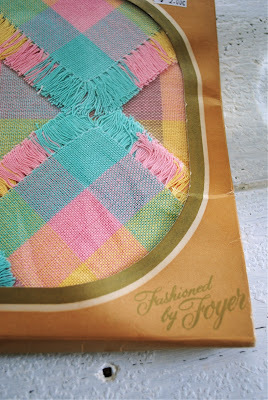 such lovely finds, we do not have thrift-stores here, that drives me crazy! I absolutely LOVE those salad servers... fifty cents?!?! No way!! 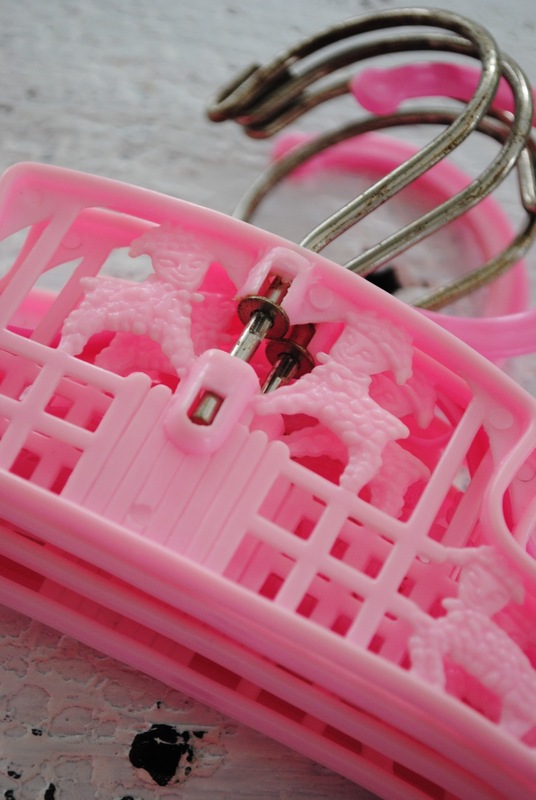 I had those little pink hangers when I was younger. Ah memories. Oh just look at that little Eiffel Tower snowglobe. What great finds! I especially love the little handpainted wooden salad servers.. OOHH!! but i have to admit those cute little pink lamb coathangers are gorgeous!! Oh lucky I wasn't in the same thrift store, I would have been knocking you over the little Paris globe and I think the napkins would find another use in my house also. Pretty things! 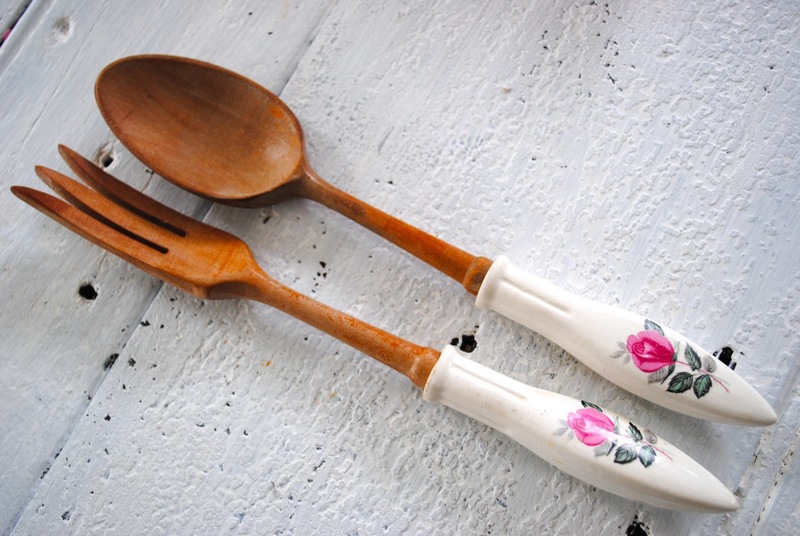 Love the salad servers; my grandmother had these! Salad servers are great. You did a good job! Don't you just love snow globes. Oooh I am loving your finds. I have very similar salad servers. It looks like a lot of love the salad servers , you got some great things ! I want those salad servers BAD! Wow, these are all amazing finds. I especially love the Shabby Salad Server!!! Wow - what a great thrift, amazing prices! I wish mine were that good, love the salad servers, very shabby chic! Lovely salad servers! It's wonderful you've rescued them from a life in someone's drawer. Ooh la la! 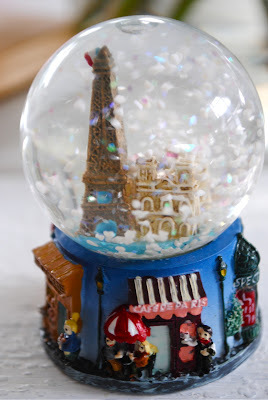 Luv the mini Paris snow globe...that's a steal! Simone, Your blog is Over the Top! I smile to see the little pink hangers! Such innocence in a simple object. I remember those. Hold a special place in my heart. Thanks for the memories. I especially love the salad servers! Great finds! Those little hangers are so sweet! They're getting hard to find too, looks like you got a great deal! I'm insanely jealous of those wooden utensils! I also love go to the second hand shops and find some bargains. I'm living in Gunnedah-NSW but I'm brazilian.